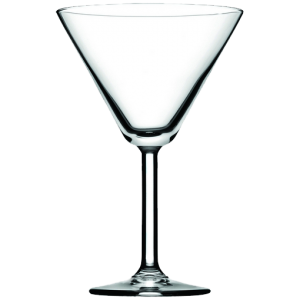 A glass made for celebrations and parties, this striking and rather funky looking glass is the classic Martini glass and is also perfect for retro cocktails. The shape of the glass catches the light from every angle giving a bright sparkling effect. Holds 10oz of liquid.